Within Teamwork Desk, you can edit an email signature of an individual inbox. Note: Only the site owner or site administrators can edit email signatures. You can do this clicking on the your profile icon to the top right of the navigation bar and select Settings. 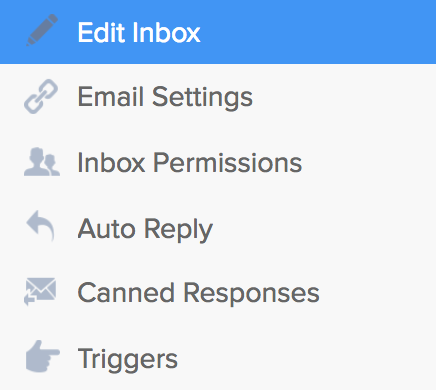 In the settings area, select the Inboxes tab. Choose the inbox you would like to make changes to and then select Edit Inbox from the left pane. If there are multiple users replying from the same inbox, you can use variables to insert details to your ticket replies, such as the agent's name. You can insert a variable into the email signature by clicking the magic wand icon on the text editor. 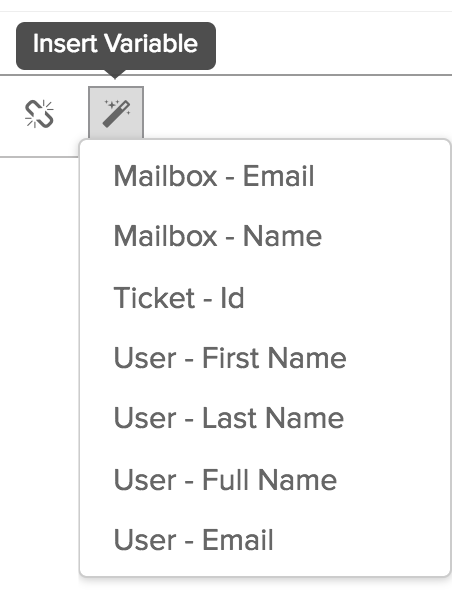 For example, selecting "Mailbox - Name" and "User - Full name" as variables will insert the agents full name and mailbox address into the signature. If you want to add an image to your signature you can simply drag the image from your computer into position under the variables or text already input. Alternatively, If you want to use an image stored online you can use the image URL and paste it into the source within the editor. Click on the View Source button on the left of the editor bar and paste your URL in the image source code. The yellow highlighted area above shows the pasted URL. You can follow the basic HTML below to insert your own.